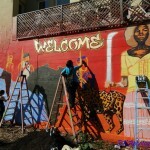 The Community Rejuvenation Project (CRP) was blessed and fortunate to have been involved with the creation of a new mural, “Welcome to Afrikatown,” painted in solidarity with community organizing space Qilombo, community advocacy group the Black Angels, non-profit organization Planting Justice, and educator Denae Martinez, who teaches at San Francisco State, Laney College, Merritt College and Fremont High School. 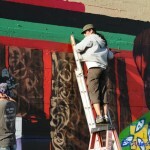 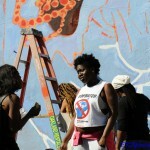 The mural faces a controversial plot of land which has been the center of an ongoing fight over gentrification. 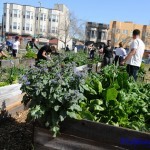 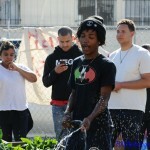 Qilombo, headquartered next door, built a community garden there, which not only provides free sustenance in a food desert neighborhood, but also engages local residents in eco-sustainability practices – as well as a steady dose of dead prez and other conscious rappers, and the occasional chess game. 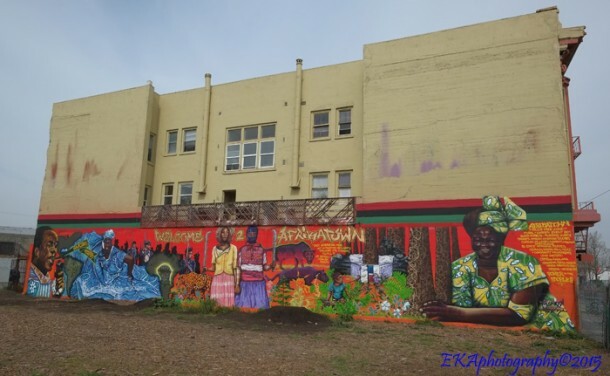 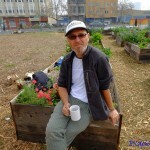 But Qilombo staff and community members say they have been threatened by a developer who wants to raze the garden – hence the need for a mural specifically dedicated to fighting gentrification. 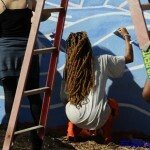 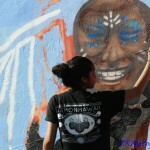 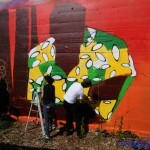 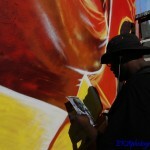 A community day saw more than 200 volunteers–including Martinez’ students, as well as neighborhood residents–over the course of the day tend to the garden and/or assist in the painting of the mural. 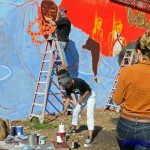 Lead artists Desi Mundo and Pancho Pescador were also joined by extended CRP family members Grace Chen, Yesenia Molina, Gio, Abakus, Big Sam, Kenese, and special guest artist “Kasso,” from Trenton, New Jersey. 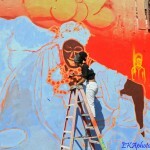 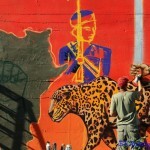 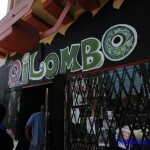 The imagery for the mural was developed through a series of community engagement meetings CRP held with Qilombo prior to the mural’s inception. 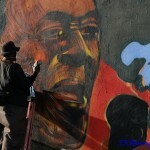 The mural’s left wall is graced by a portrait of Kwame Nkrumah, the osageyfo (redeemer) of Ghana and a strong proponent of Pan-Africanism. 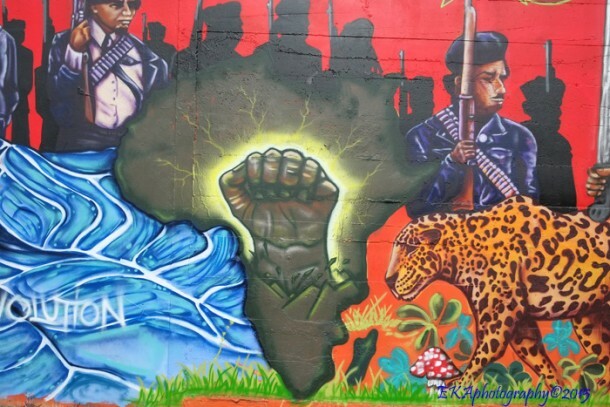 An outline of North and South America is connected to a swirly, oceanic depiction of orisha Yemeja, whose fluid “arms” connect the African continent with its Diasporic relations. 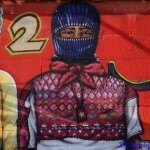 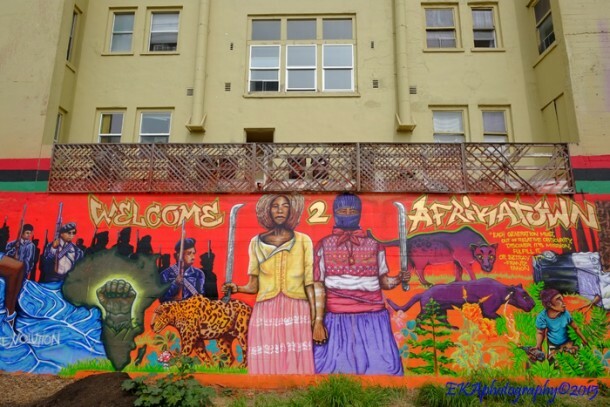 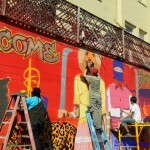 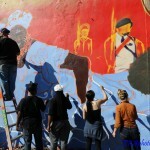 In the center of the mural, Zapatista Commandante Ramona and an indigenous African woman, symbolizing black and brown unity, are depicted sporting colorful clothing and holding machetes—a symbol of agricultural production as well as indigenous resistance. 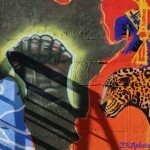 The women stand under a banner proclaiming “Welcome 2 Afrikatown.” Two panthers and a jaguar guard the women. 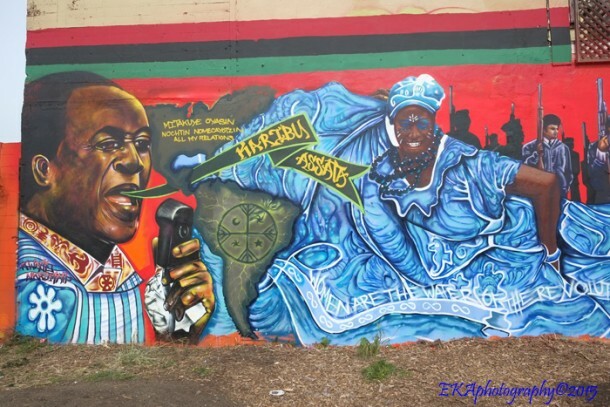 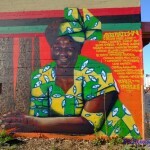 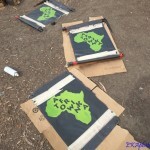 Over visual aspects include an indigenous resistance fighter, a tree growing out of a police car, the Black Panthers, and Nobel Prize winner Wangari Maathai, a champion of environmental accountability and sustainability.